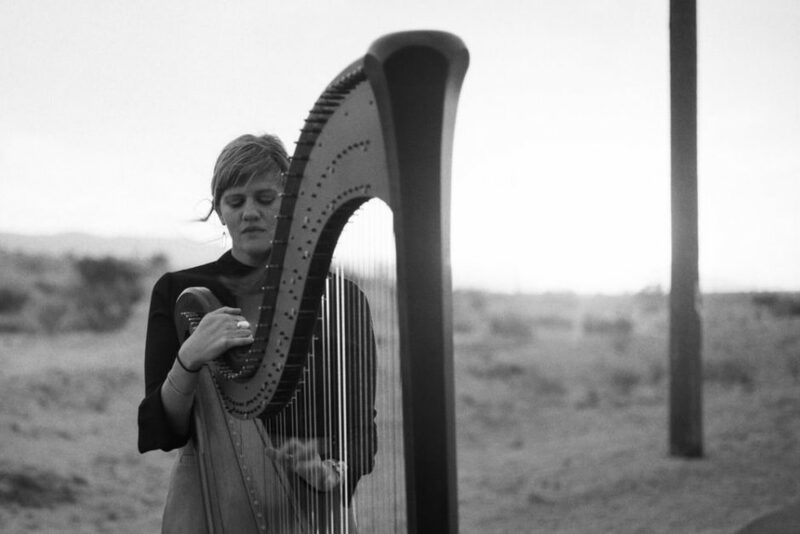 Mary Lattimore is a Los Angeles-based musician who uses her Lyon and Healy concert grand harp to conjure up beautifully abstracted forms that evoke a host of memories, landscapes and allusions. Across a breadth of recordings, collaborations and art commissions her music explores a realm of wordless narratives and indefinite travelogues, where – with the help of effects and occasional vocals – extended harp improvisations morph into spectral song forms. In live performance she reveals the impressionist magic of her chosen instrument, blurring classical technique and ambient electronics to beguiling effect. Eli Keszler’s work is all about spaces. The New York-based drummer and composer continually grapples with the interaction between sound and environment, transforming physical and virtual spaces through his performances, recordings, and installations. In addition to performances within his installations, he’s played extensively as a solo artist and in collaboration with the likes of Ashley Paul, C. Spencer Yeh, Loren Connors, and the Icelandic Symphony Orchestra, and has released recordings with labels including Berlin’s PAN, Burlington, Vermont’s NNA Tapes, and his own REL records. Keszler’s playing is imagistic, and his pieces convey a spectrum of emotional dynamics that range from the epic (think gamelan with tribalistic tom explosions) to the intimate (“house noises” you might hear while lying in bed). A player of polyglot inspiration, Keszler takes cues from almost everything that surrounds him–drawings, buildings, other drummers, rocks, machines. For our summer salon in August, we will host the Kiezsalon at Kunsthaus Dahlem and its beautiful sculpture park as part of the Lange Nacht der Museen 2019. The Kunsthaus, which is located right next to the Grunewald and near the Brücke Museum, is an exhibition space dedicated to postwar modernism in East and West Germany. On August 31st, the Kiezsalon music programme goes along Kunsthaus Dahlem’s exhibition ‘Inspiration Africa – A Continent Seen by German Sculptors in the 20th Century’. With over 30 photographs and ephemera, the show includes works by both well-renowned and lesser known artists. Since early 2015 the Kiezsalon has offered a forum for innovative musical activity beyond genre boundaries. As an interface between avantgarde, advanced pop music and interdisciplinary art the series presents compact performances by artists from diverse genres, origin and status. Following four exciting years, the Kiezsalon has established itself as a popular and successful series, so far hosting 82 acts from 29 countries. Tickets available exclusively via Lange Nacht Der Museen.